The dream of the nuclear family in a brand new house on a quarter acre might be getting harder to reach but the suburban dream still shapes our national identity. After all, from J-ville to Stokes Vegas, most of us call the suburbs our home. Suburban Dreams explores the place of suburbia in our lives, finding significance and complexity in the commonplace. 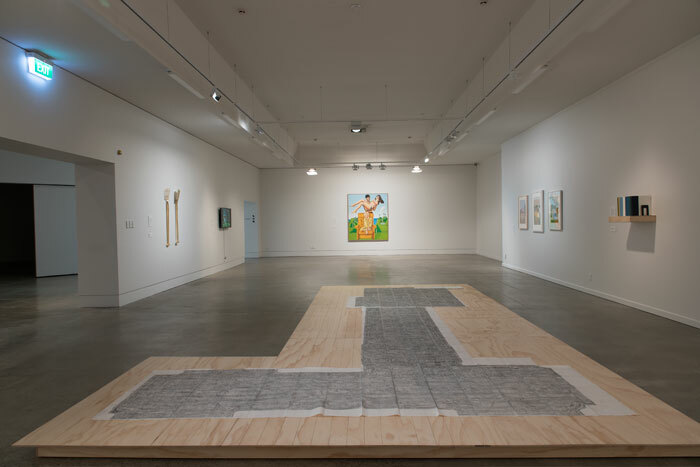 This group exhibition includes an iconic Ian Scott painting that idealises the 1970s New Zealand family, contrasted with bittersweet reflection in a film from the same period by the late Joanna Margaret Paul that explores the traps of suburban life in Thorndon. Humour is found in an ironic presentation of stately homes in 1990s Churton Park by Murray Hewitt, along with a celebration of the antics of twenty-first century teens in Wainuiomata by Tim Barlow. Other artists in Suburban Dreams: Susannah Bridges, Steve Carr, Derrick Cherrie, Ruth Cleland, Glen Hayward, Gina Matchitt, John Lake, Kerry Ann Lee, Richard Orjis, Joe Sheehan, Kate Small, Yvonne Todd and Robin White. Photographs courtesy of The Dowse Art Museum and by John Lake. 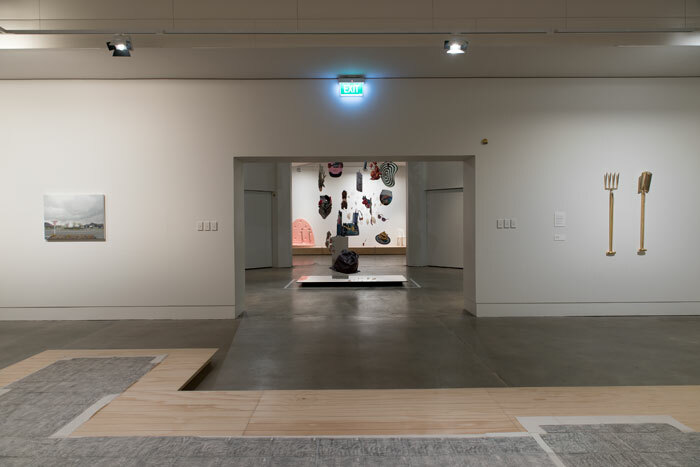 Click here to see full documentation of the exhibition on The Dowse's website.